I've told you in the past about some excellent nutrients that are effective against the blinding eye disease macular degeneration. But as you may know, the best treatments treat the cause, not the symptoms. Now, researchers at Washington University School of Medicine in St. Louis, Missouri, have found an association between age-related macular degeneration and atherosclerosis: both diseases involve an inability to remove excess fat and cholesterol. Now that they've discovered this link, scientists have a much better idea of where to start in identifying treatments that will get to the root of macular degeneration, not just alleviate the effects of its presence. Age-related macular degeneration is the leading cause of vision loss in Americans over 50. Since it's similar to atherosclerosis in its underlying defect, Washington University researchers have been studying mice and human cells to see just how cholesterol deposits lead to macular degeneration. In particular, they're studying macrophages, which are immune cells that remove cholesterol and fats from tissues. As we age, our macrophages start working less effectively, which can lead to a buildup of cholesterol. That, in turn, causes macular degeneration. Initially, this buildup causes the "dry" form of age-related macular degeneration, in which the deposits become so large and numerous that they obscure and destroy the central part of the eye, causing vision trouble. If this buildup continues, even the macrophages themselves start to contribute to, rather than cure the problem. Because they no longer work efficiently, they become bloated with cholesterol, triggering an inflammatory process that creates new blood vessels. As these vessels cause additional damage, the disease is now characterized as the "wet" form. 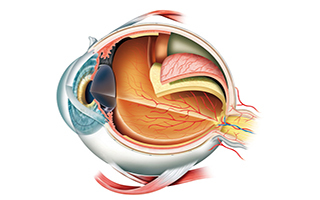 The vessels' growth causes bleeding and scar-tissue formation, the culprits behind the majority of the vision loss. But, researchers have discovered, there's a reason macrophages become inefficient - and it may be preventable. Macrophages require a protein called ABCA1 in order to properly remove cholesterol. As we age, we make less of this protein. When researchers treated the macrophages with a substance that raised ABCA1 levels, they worked much more efficiently, and the production of new blood vessels slowed. Unfortunately, most of this research will lead to more drugs to treat the problem. First, they'll look at statins. But the problem here isn't cholesterol. It's the health of the macrophages. If they are healthy, they'll remove the cholesterol and other fats and you won't have the buildups that cause problems. Sounds a lot like atherosclerosis, doesn't it? 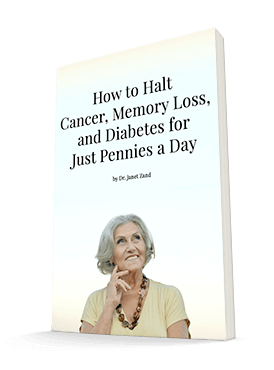 Instead we need to find more natural ways to keep your system running smoothly as you age. I've given a lot of nutrients in the past that will effectively treat atherosclerosis. Many of these same nutrients will help your eyes as well. These include alpha-lipoic acid (ALA), grape seed extract, vitamin C, L-glutathione, N-acetyl-L-cysteine (NAC), and others. Sene A, Khan AA, Cox D, Nakamura REI, Santeford A, Kim BM, Sidhu R, Onken MD, Harbour JW, Haqbi-Levi S, Chowers I, Edwards PA, Baldan A, Parks JS, Ory DS, Apte RS. Impaired cholesterol efflux in senescent macrophages promotes age-related macular degeneration. Cell Metabolism, vol. 17(4), published online April 2, 2013.